I bought some table scatter (the same I used in my Love Birds Art) at Dollar Tree, and the hearts in that worked perfectly for this game! 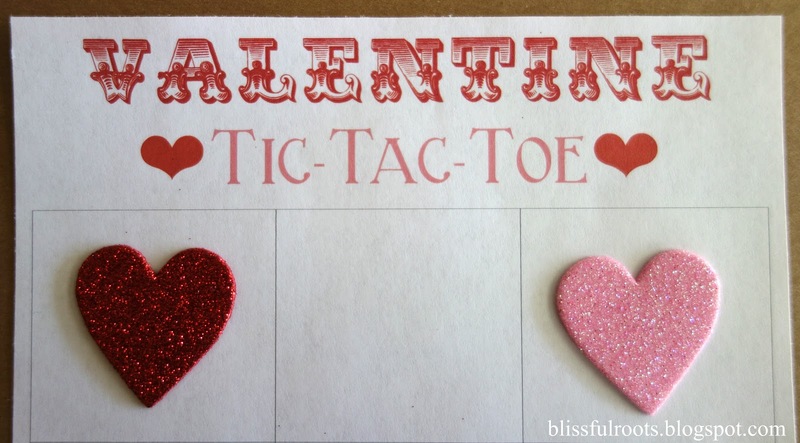 You could use anything red and pink for the Xs and Os- red and pink M&Ms, valentine Hershey kisses, regular Xs and Os (hugs and kisses), conversation hearts, the list could go on and on! I printed my game board out on white card stock. I didn't get around to it yet, but I also want to laminate it so I can pull it out every year to use. I might mount it on cute scrapbook paper before I do that (I can't leave well enough alone!). 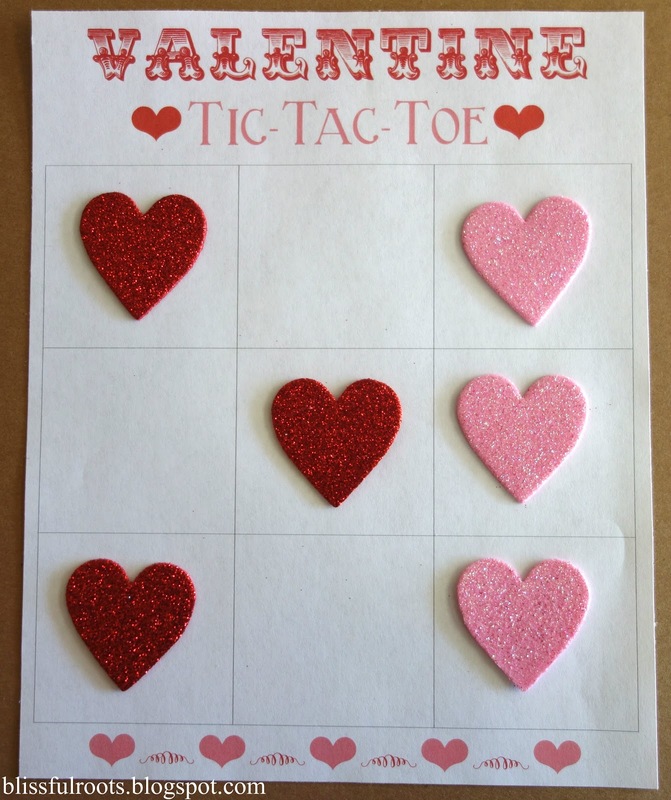 This would be the perfect game for any classroom parties you may have coming up next week. 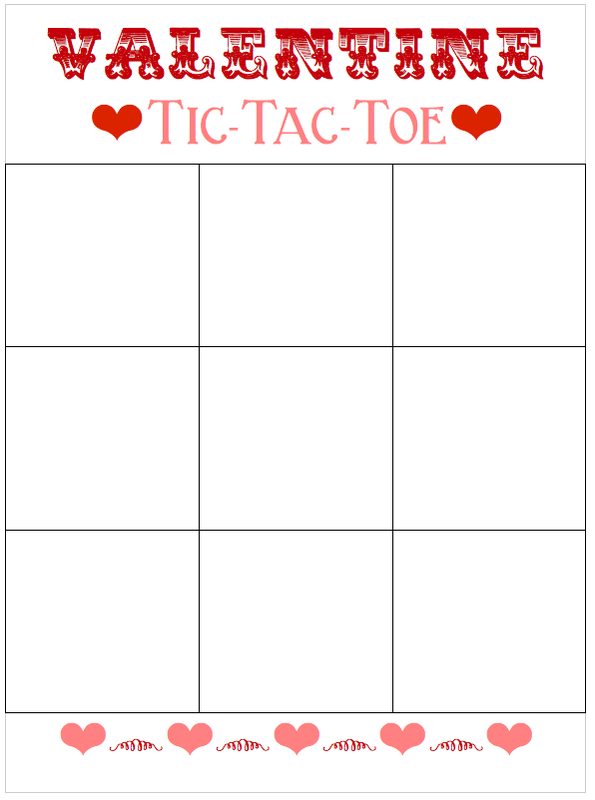 I've also been playing around with a valentine Sudoku game. It's a bit tricky finding the right amount of stickers for one board, but I'm working on it. Check back next week for that game. You can click here to print your tic-tac-toe game board. I do have Valentine's Day parties this week and this would be perfect! Thanks so much, Brooke! !